Gifts, peace banquets and reconciliation rituals: according to historians, peace agreements have historically been reached if, above all, specific trust could be established between opponents. "Confidence-building measures are not a patent remedy, but increase the probability of peace, according to studies covering different epochs," says medieval historian Prof. Dr Gerd Althoff of the Cluster of Excellence "Religion and Politics" of the University of Münster. Throughout time, people have longed for peace and developed strategies. "As great as the longing was, mankind has hardly made any lasting progress – such as peace over centuries. Across epochs, however, there are surprisingly similar principles and practices that have been more successful than others in curbing the potential for human aggression." The historian announces the Cluster of Excellence's international conference "PEACE. Theories, Images and Strategies from Antiquity to the Present Day", beginning on 22 May and including researchers from history, archaeology, art history, German philology and philosophy. It is part of the programme of the exhibition "Frieden. Von der Antike bis heute" (Peace. From Antiquity to the Present Day), taking place from 28 April at five locations in Münster. The idea and basic concept of the exhibition project are the result of the many years of research at the Cluster of Excellence on the topic of peace. Over the next few weeks, the Cluster of Excellence will present key topics of the conference on the Internet and in the media in multimedia formats. Prof. Althoff organises the conference together with art historian Prof. Dr Eva-Bettina Krems, philologist Prof. Dr Christel Meier-Staubach and historian Prof. Dr Hans-Ulrich Thamer, all from the Cluster of Excellence. "Of the two types of peace that can be distinguished in history, a negotiated peace or peace of reconciliation was far more durable than a dictated or victorious peace," says Althoff. "The latter humiliated the losers and glorified the winners. This type of peace was rarely of long duration, as was the case after the Franco-Prussian War of 1871 or after the First World War 100 years ago, for example." With regards to the first type of peace, on the other hand, one emphasised forgiveness, contented oneself with satisfaction and sought compromises. In the Middle Ages, confidence measures were strongly ritualised: as in the Peace of Venice of 1177, rituals of subjugation and reconciliation developed, gifts were exchanged, and mutual visits were made. Jokes at the peace banquet "The peace banquet was particularly important in order to create genuine trust: the former enemy was served the best foods and drinks in abundance, and the peaceful attitude was expressed in friendly conversation and exuberant joking," Prof. Althoff explains. It was a serious accusation against King Henry IV, for example, that he had not talked and eaten with Pope Gregory VII at the peace banquet in Canossa in 1077, but had instead scratched the tabletop with his fingernails. "In any case, the abrupt shift from conflict to friendly contact has always been a risk." Conversations and jokes at the peace banquets sometimes turned into arguments and violence, as they were seen as insults. Treachery was sometimes also involved: in 493, Theodoric the Great slew his opponent Odoakar during a peace banquet. "Despite such risks, direct communication between conflicting parties remains an important strategy for building trust," says the historian. Those who created a basis of trust through personal contact on a human level could deal with controversial issues in a more compromise-oriented manner. "Working for peace cannot be feigned, it needs to be done with passion and remains arduous." According to Althoff, famous examples of this can also be found in contemporary history. "In the early 1970s, German Chancellor Willy Brandt and Soviet head of state Leonid Brezhnev met privately at meetings in Bonn or Crimea, getting to know each other better, and so contributed to the thawing period of the Cold War." Confidence-building contacts were intensified in the Gorbachev era, which resulted in reunification and the end to the Cold War. "Fishing on the Volga, stuffed pig's stomach in Oggersheim and other confidence-building acts are still firmly anchored at least in German cultural memory," says the historian. At the same time, peace must also be cultivated in the long term, as has been the case in the close relationship between Germany and France since the Second World War. "However, recent conflicts between East and West show that confidence-building has been neglected after the end of the Cold War." Conference "PEACE. Theories, Images and Strategies from Antiquity to the Present Day"
The conference is part of the exhibition "Peace. From Antiquity to the Present Day", which will present the topics in a variety of exhibits at five locations in the city of the Peace of Westphalia from 28 April to 2 September 2018. 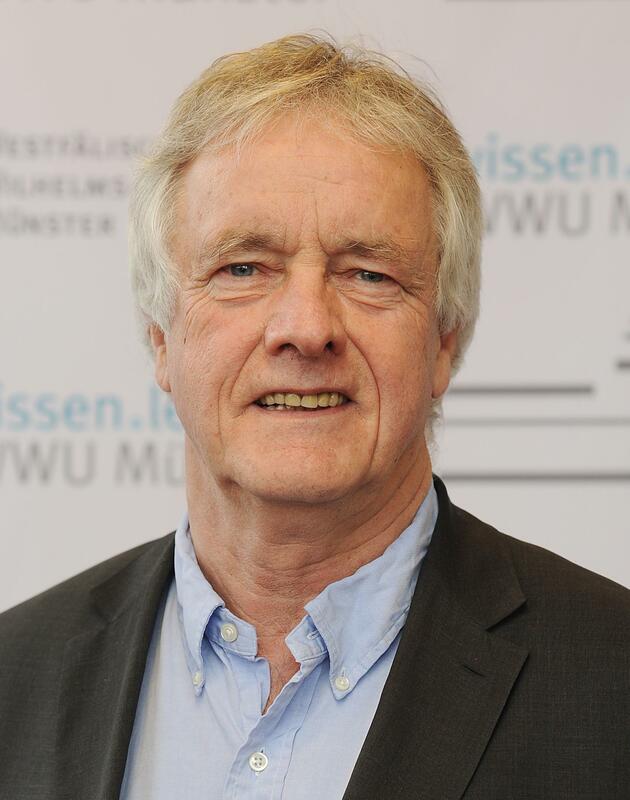 Historian Prof. Dr Gerd Althoff will talk about the building of trust and the history of an elementary strategy of peace-building (Vertrauensbildung. Zur Geschichte einer elementaren Strategie der Friedensherstellung) in the opening lecture on 22 May at 7 pm. In the public evening lecture on 24 May at 8.15 pm, Prof. Dr Christoph Kampmann, historian of the early modern period from Marburg, will deal with peace norms and security policies, using the example of the Peace of Westphalia to illustrate basic problems of the establishment of peace in the early modern period (Friedensnorm und Sicherheitspolitik: Grundprobleme frühneuzeitlicher Friedensstiftung am Beispiel des Westfälischen Friedens). All lectures will be held in the auditorium of LWL-Museum für Kunst und Kultur at Domplatz 10 in Münster.